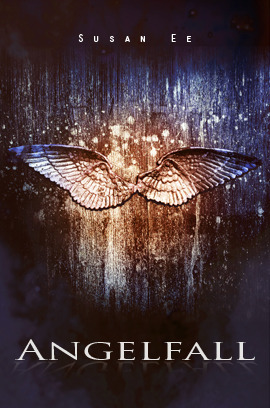 I thought Angelfall was a really original take on the ‘angels on earth’ theme – I’ve read a few so far (Hush Hush, Forgotten Self) and this definitely leads the pack. Set in a post-apoclyptic landscape, where angels have been the bringers of destruction – as you might expect from their biblical heritage, but which I’ve not seen used particularly in other angel books – Penryn is our feisty female protagonist, fighting to survive. I found her skills and behaviour plausible in the same way I did Katniss in The Hunger Games: her motivation is protecting her family; her skills come from having to survive a difficult environment, before she was plunged into the apocalypse. The relationship she develops with Raffe (an injured angel) is based on mutual need, and had good depth. There’s plenty of action in the book, nicely tempered with the world building, so that you see how people have changed because of the apocolypse. Questions of humanity are raised throughout and examined well through secondary characters. There are also some pretty gruesome descriptions and troubling images – they fit with the plot and the events at the end of the world, although some readers might have wished for a more ‘fade to black’ approach…particularly in the big climax at the end. One thing I especially liked was the presentation of the angels as just another species – so you can get agnostic angels!! – rather than fixing them into traditional biblical roles as you might expect. The angel culture and behaviours are also nicely examined and explained to fit with the author’s world. Overall – this was a great read – it gets five stars because I struggled to put it down (when I had to) and went searching for the next book as soon as I finished (and was disappointed to find that there’s nothing out as yet!). I need to know what happens! Definitely recommended for fans of angel/demon books, as well as post-apocolyptic. This entry was posted in Reviews and tagged 5*, angelfall, angels, apocalypse, penryn, raffe, susan ee on February 1, 2013 by mel.